The Museum presents the history of the gold-mining era in the Ohinemuri gold fields and the Waihi mines concentrating in particular on the Martha mine. Of special interest are our collection of geological specimens; photograph collection; gold-mining models (in particular the unique glass model of the Martha). Our Research department can delve into your family history. 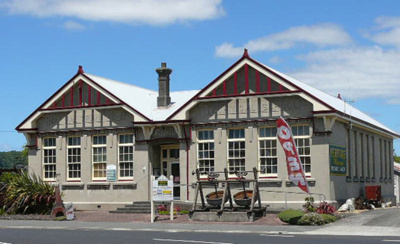 Situated on the by-pass through Waihi township, the Art Gallery and Museum is housed in the old Technical School a historic building in itself.